Kevin took me downtown for my birthday last week. We have been dating for over 3 years and have only walked around the harbor a handful of times! 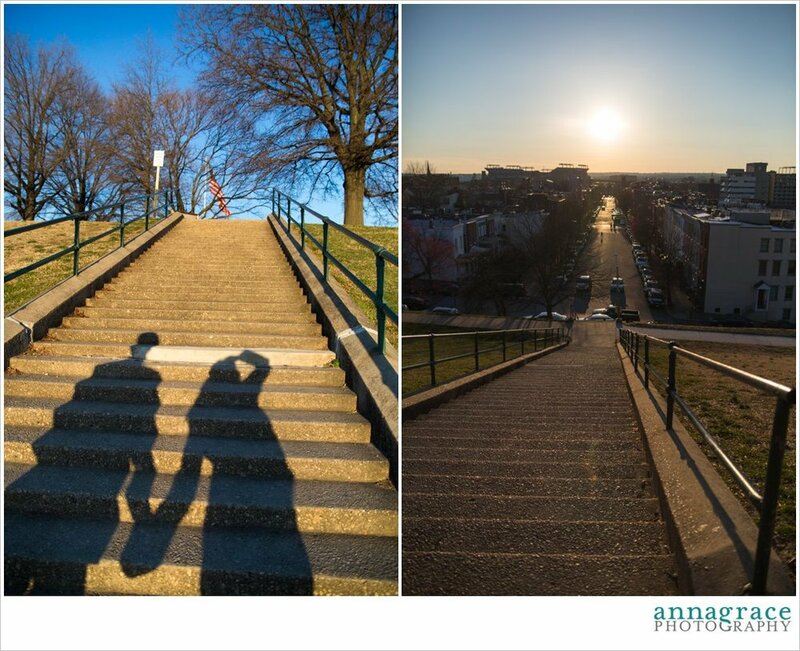 We walked up to Federal Hill to take some pictures as the sun was going down. 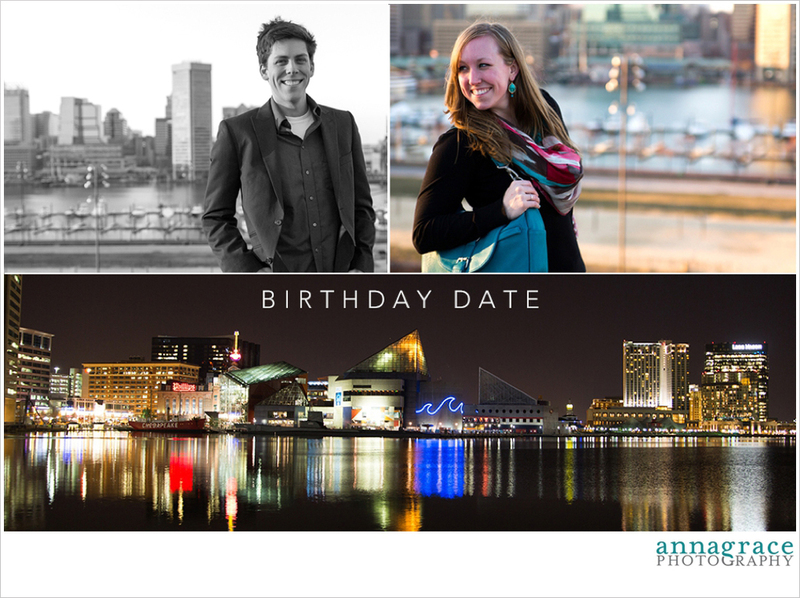 It was the perfect date (minus the wind chill!) 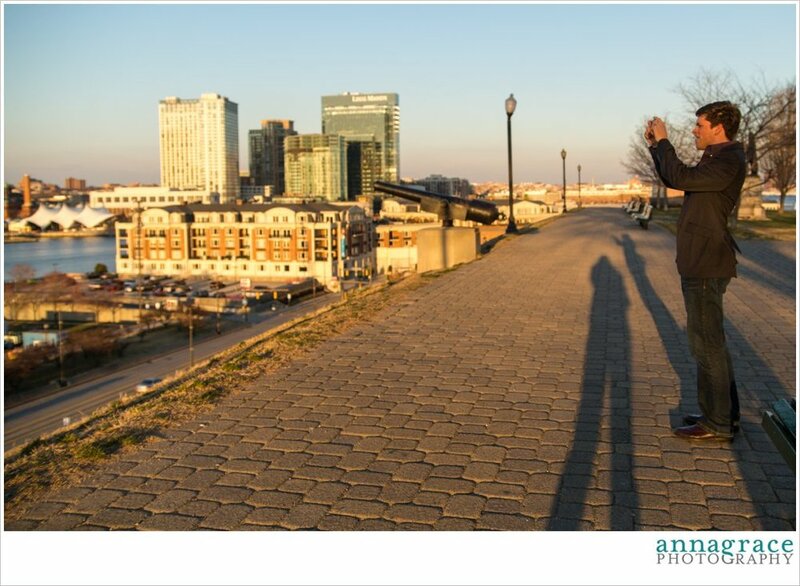 Federal Hill is a popular place to take pictures because you can see the whole harbor from the top of the hill. It is gorgeous. I hope you have a great weekend! Go do something fun that you haven't done in awhile. You may be surprised at what you will find :) And don't forget to celebrate Easter with your family! As I observe Good Friday today I am thankful for what Jesus did for me on the cross. I am only living and can love others because of His sacrifice. Praise God. I am Anna Grace and welcome to the blog! 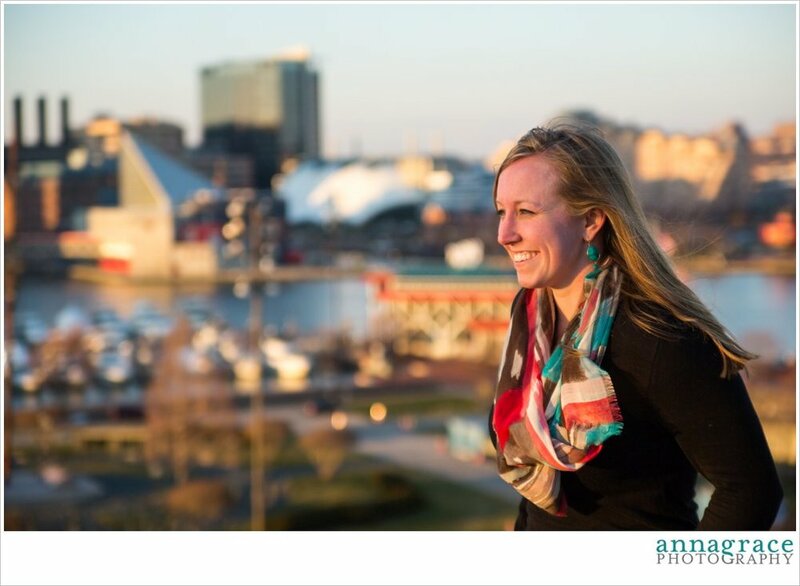 I am a Maryland + Virginia wedding photographer based in Towson, Maryland. My husband Kevin is also my second shooter! We believe in strong marriages and capturing moments of beauty, joy, and love that will last for generations.